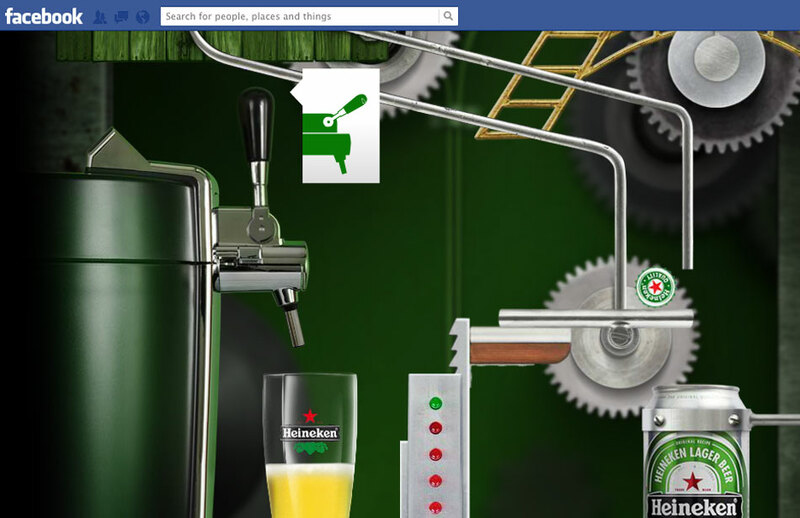 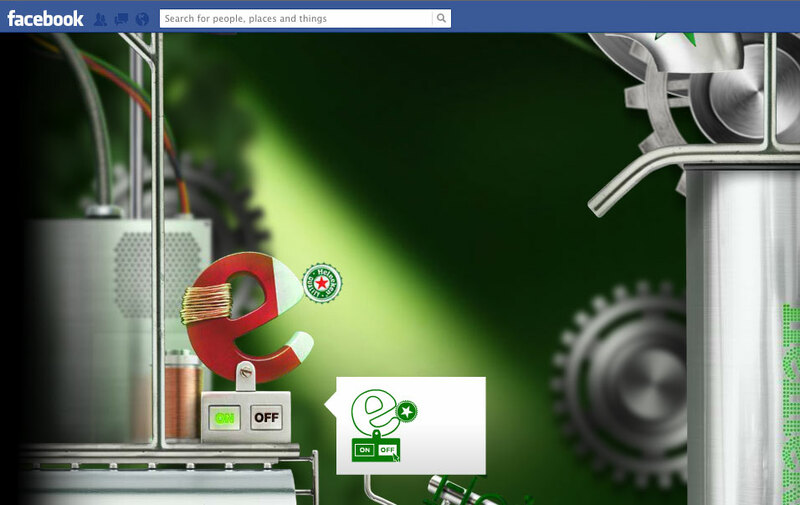 An engaging interactive experience on Facebook as part of the campaign to launch the new ‘Showcase 1litre’ bottle for Heineken through agency Megalo, directed by Fred Aven. 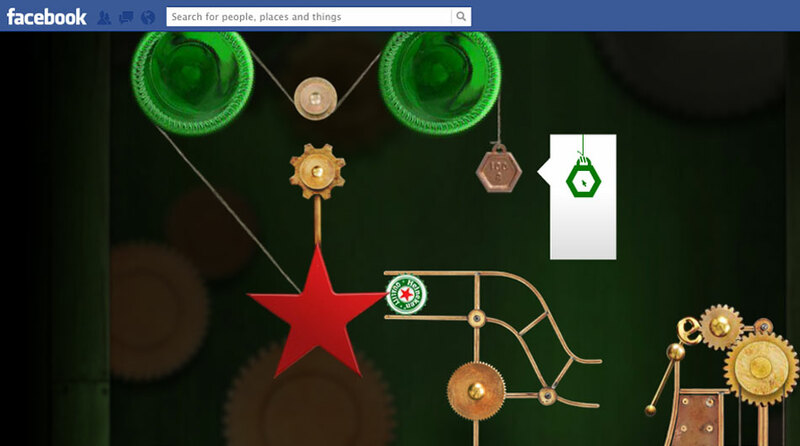 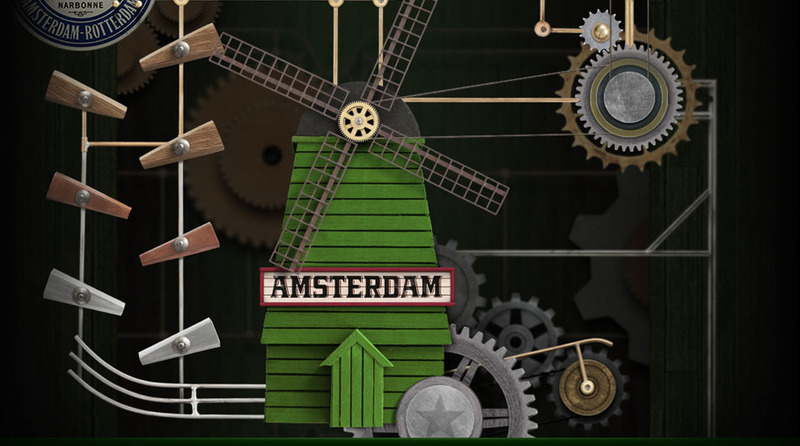 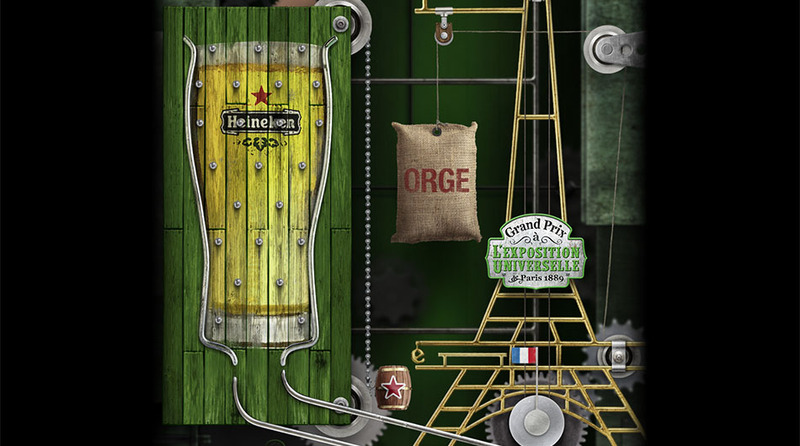 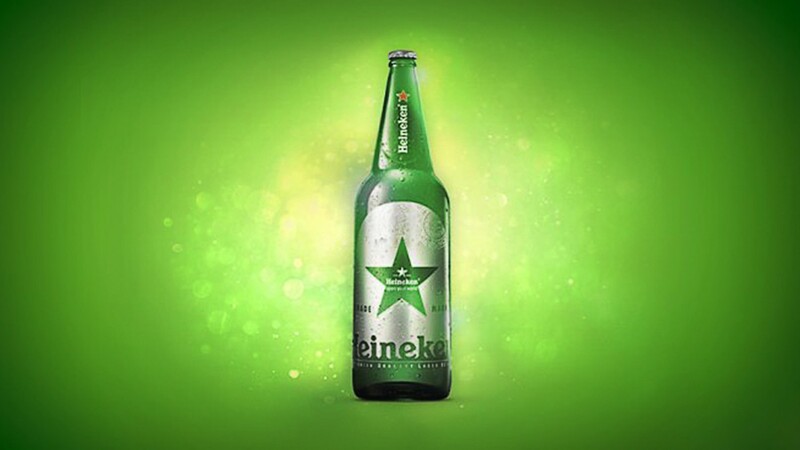 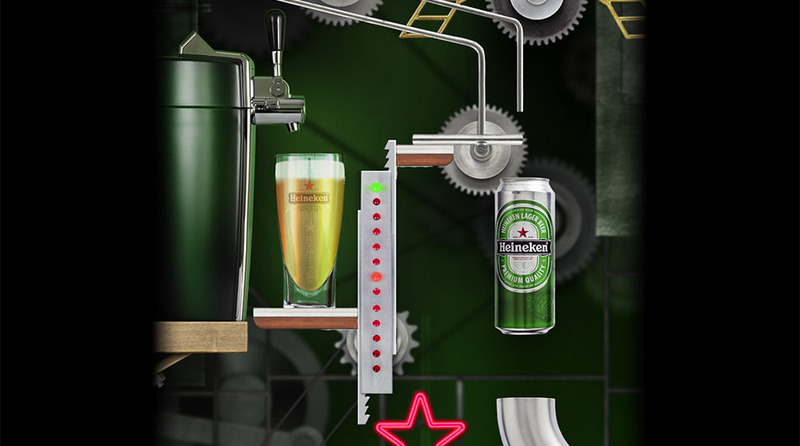 Taking inspiration from Rube Goldberg machines, we created a machine where interactivity and storytelling make us travel in a Heineken universe from its origins to today. 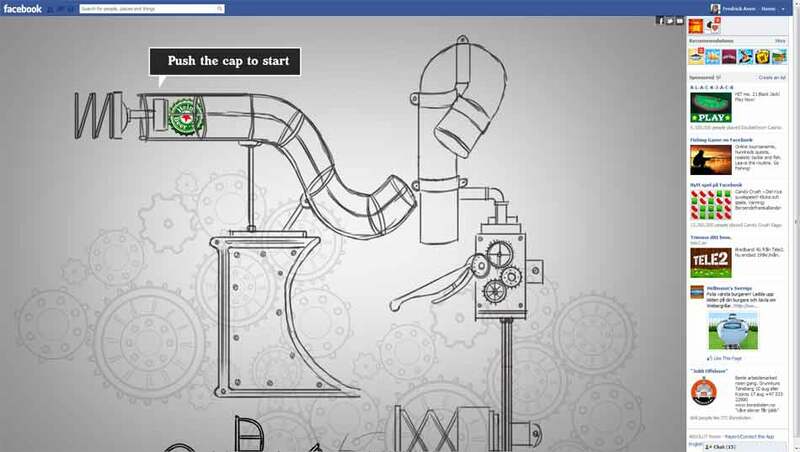 At the end of the experience the user can enter a prize draw. 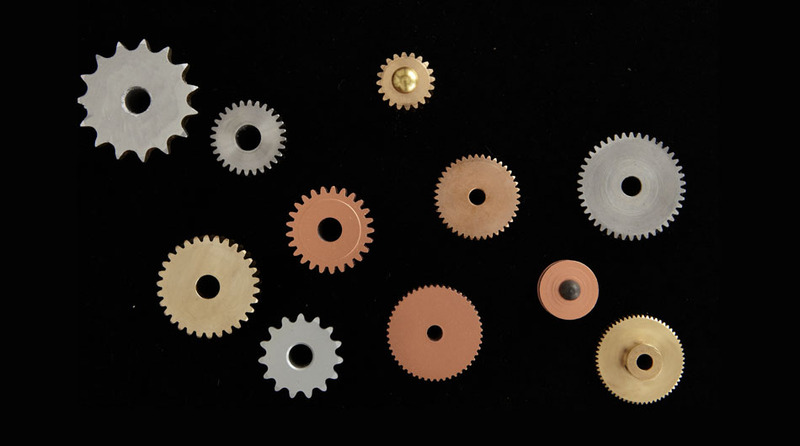 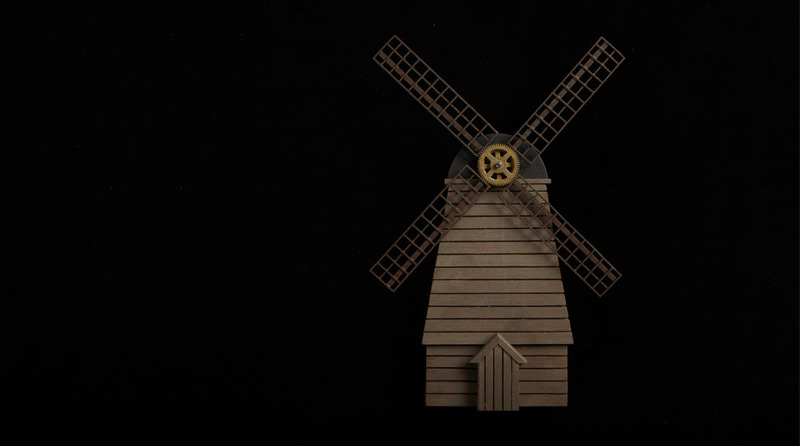 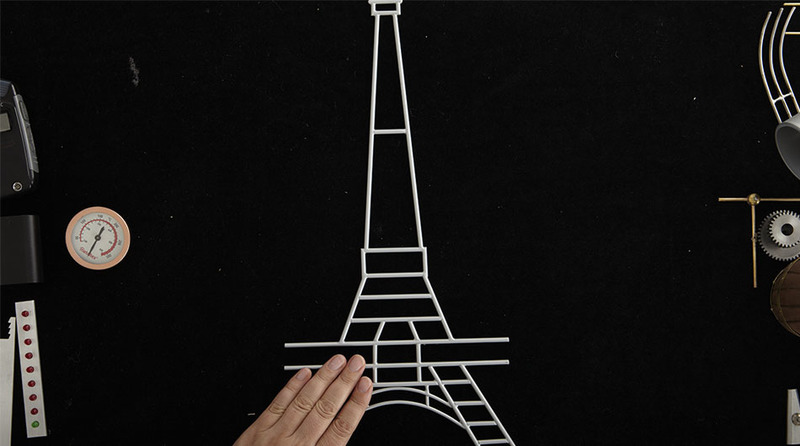 The experience was created using real model parts and cogs. 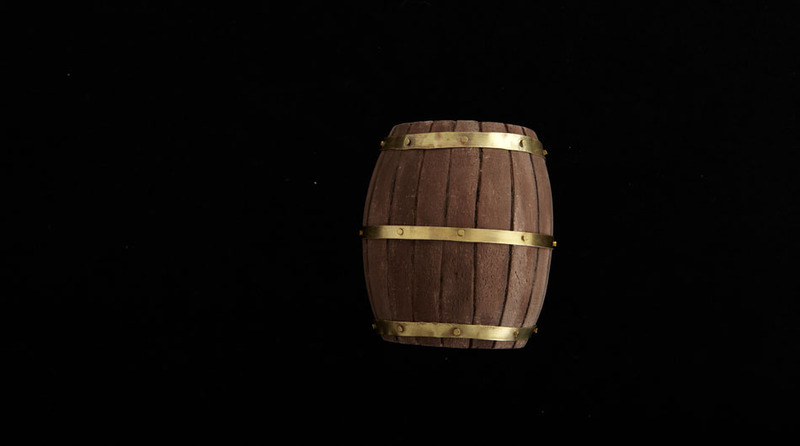 These were photographed and the assets used to create the machine. 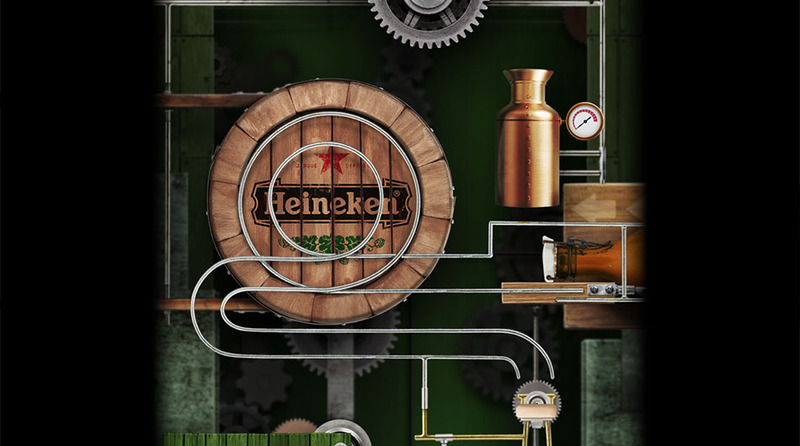 The bottle cap and interactions were flash animation, background layers used code to animate these elements.